Having a beard is always manly. 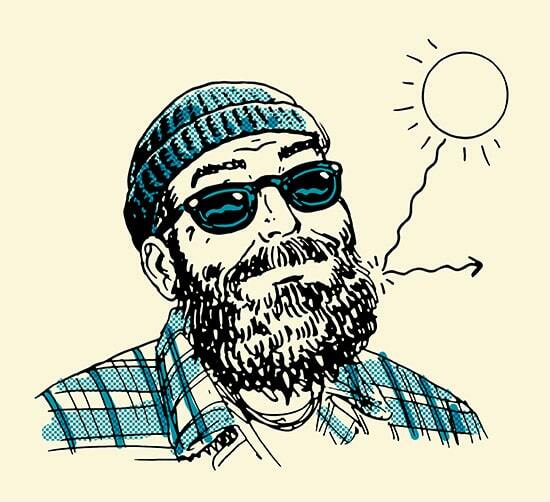 Having a beard in the winter is not only virile, but dang practical too. It provides a number of benefits (that legal has told me I cannot guarantee) that our clean-shaven brethren sadly miss out on. 1. If you fall in the ice, a beard can literally save your life. 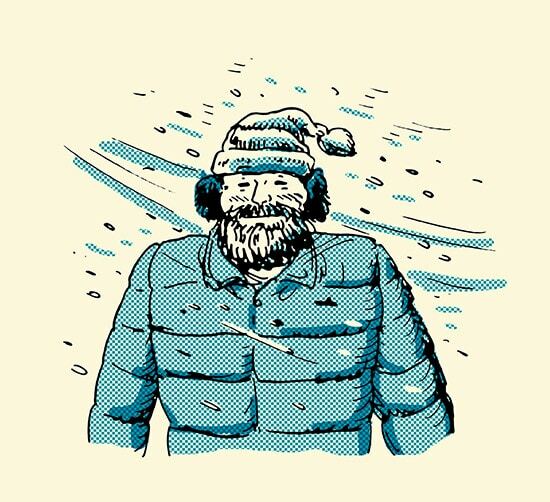 While it may seem like an urban legend, if you fall through the ice into a lake or stream, your beard may in fact save your life. If you aren’t able to get yourself out of the water within 5-10 minutes, you need to extend the window of time for rescuers to get to you. While drowning will kill you in just minutes, hypothermia takes much longer. 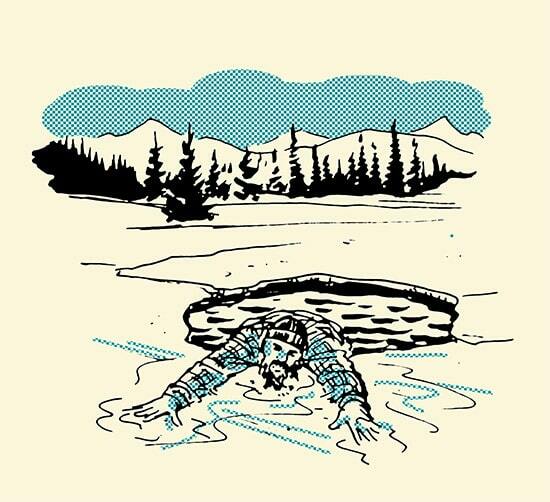 Try to get your arms — and even your beard — to freeze to the ice so that if you go unconscious, you’ll remain above water. 2. Protection from wind burn. Wind burns are not actually from wind. They are in fact simply sunburns that we get in cold weather. It’s most common on the face, since that’s often the only exposed piece of skin during the coldest months. And guess what bearded men have covering, and therefore protecting, their face? One study found that facial hair blocks 90-95% of UV rays, rendering you supreme over the powers of the sun. Not only that, but it’ll guard against skin cancer, too. Grow a beard, prevent cancer. A walk in the winter is not often a pleasant affair. You can cover up your extremities pretty well, but to cover the face requires the use of a bulky scarf blocking your mouth and breathing apparatus (nose). In biting temperatures, this fact alone can keep you at home rather than attending a party at a friend’s house, or having a night out on the town. If you have a beard, that annoyance is no more. The soft mane covering your face is nature’s scarf. In fact, some evolutionary theorists argue that men grow beards while women do not because men were out hunting, and needed to keep warmer than their shelter-dwelling mates and children. Suffer red, winterized cheeks no more and instead grow a cozy, face-cuddling beard. 4. Preserve winter drinks in that luscious mane. One of the worst parts of having a beard is getting food stuck in it. One of the best parts of having a beard is the ability to preserve your cocktails inside of it. When you drink out of a glass, unless you’re being extra dainty about it, some of the liquid will invariably escape the rim and jump right onto your upper lip. While your mouth may miss those errant droplets in the moment, it’ll be glad to have them preserved for later. 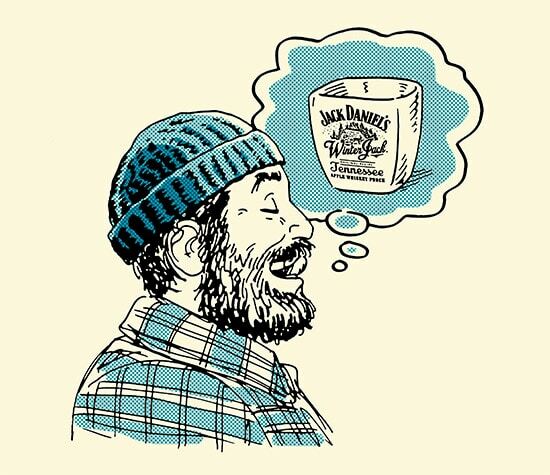 For once his drink is gone, the beard-clad fellow need not lament; a smidge of Winter Jack has been left behind. His glass may be empty, but at the time of his choosing, he may extract the spirit from his mustache and once more enjoy the delicious taste of whiskey mixed with apple cider liqueur. 5. 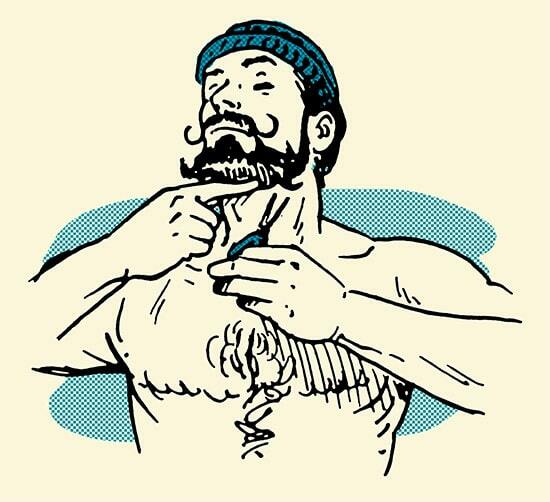 Learn the manly art of grooming. This post is brought to you by Jack Daniel’s Winter Jack. Keep your holidays warm with a seasonal blend of apple cider liqueur. REMAIN A JOY TO THE WORLD. DRINK RESPONSIBLY. When high school players chat with the Mannings, they get tips on how to strengthen their arms, read coverages, and develop leadership skills.